Malaysia’s annual budget for the following is usually presented somewhere in October each year. For 2019, the budget was announced to the public on November 2nd2018. This budget was a historic one, since it was the first budget to be presented by the new government formed by Pakatan Harapan. This meant that it was the first time in a history that government that wasn’t Barisan Nasional presented a budget, and many had high hopes. 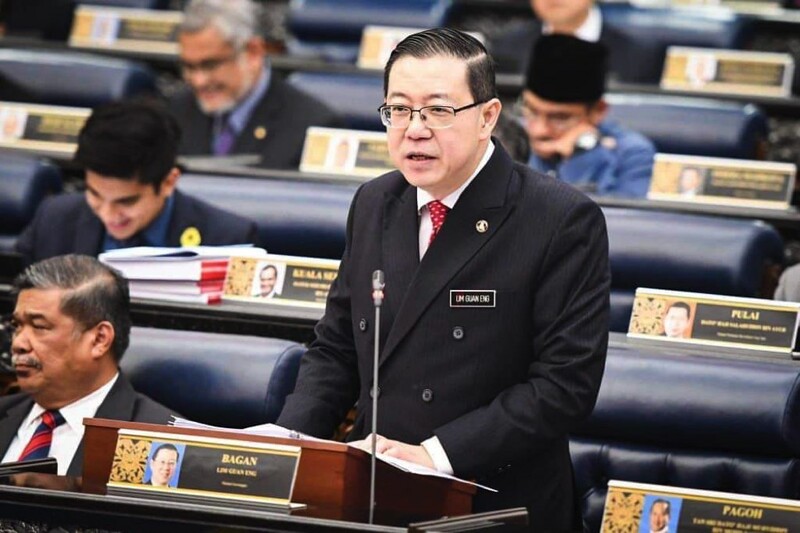 At the end of Finance Minister Lim Guan Eng’s speech, there were mixed responses. It was clear that some thought it was a fairly good budget, while others were critical of the fact that it was too expansionary in a time when debts were high. The oil palm industry depends heavily on the laborious work of foreign workers, especially those from Indonesia, Bangladesh and Myanmar. The work is often very physically demanding and not many locals are interested in these types of jobs. In order to reduce the burden of agriculture landowners, the government has decided to increase the discount given for visa extensions on workers who have worked for 10 years or more. In the past it used to be RM3,500 but now it’s RM10,000. This initiative was introduced to help improve the shortage of workers in the agricultural industry. In order to increase the demand for palm oil, the ministry will be carrying out two biodiesel programs namely the Biodiesel B10 program for the transportation industry and the B7 program for the industrial sector. B10 biodiesels are a mix of 10% ester methyls from palm oils whereas the rest of the 90% will be diesel from conventional petroleum. A sum of RM30 million has been set aside to help oil palm smallholders to become more competitive in the global market. This can be achieved by helping them obtain the Malaysian Sustainable Palm Oil (MSPO) certification. Palm oil from sustainable plantations are able to fetch a higher price in the international market as the world becomes more environmentally conscious. In general , the government has also set aside RM47 million for the research and development. These initiatives will focus on improving, seed, fruit yield and the like. Additionally, there is also RM52 million set aside for the training of youth entrepreneurs who are interested starting their own agricultural businesses. 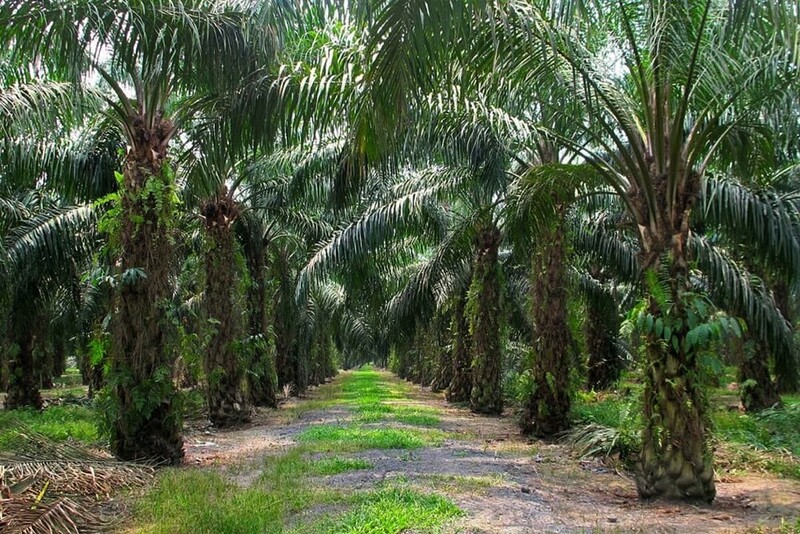 The outlook for 2019 in the oil palm industry in Malaysia seems positive, especially with certain parties predicting the increase in palm oil prices. With this said however, it is the responsibility of smallholders and bigger companies to protect themselves against uncertain market forces and plan their budgets accordingly. Not many planters know this, but over-fertilizing your plants is actually more dangerous than under-fertilizing them. This means that if you put too much fertilizer, your plants will start to get sick from poisoning. The symptoms of fertilizer toxicity in oil palms can look very much like nutrient deficiency. Poorly trained workers or high turnover rate leading to erroneous methods of fertilizer application due to inexperience. Over-generalization of large plantations i.e. assuming that the whole plantation has the same fertilizer needs. 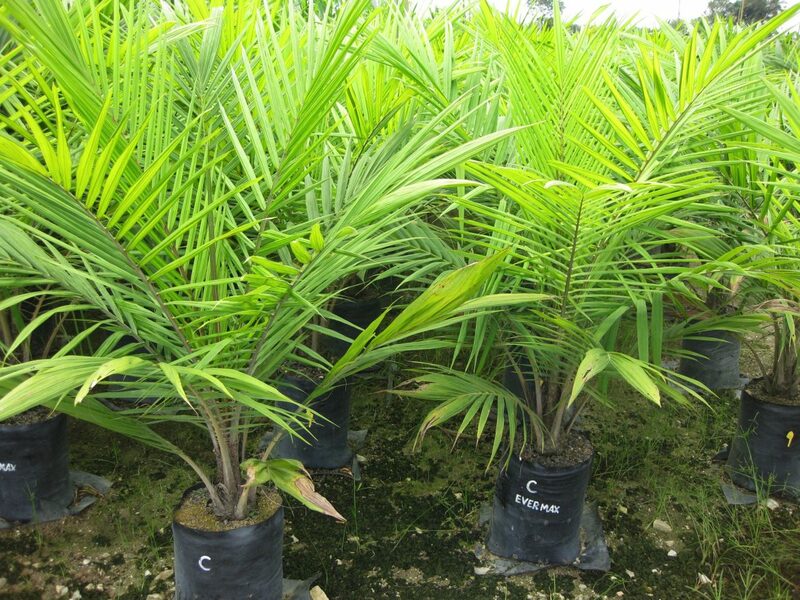 Failing to do soil content evaluations regularly, leading to over-application of fertilizers the oil palms don’t need. 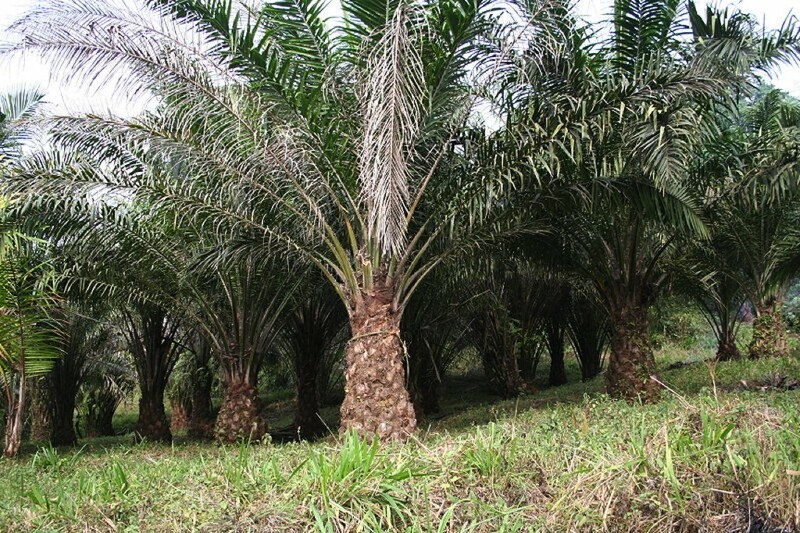 Over-enthusiasm to push oil palms to increase production using fertilizers. As such, there should be important steps taken so that over-fertilization does not occur and proper management is put in place. You as a planter or plantation owner will have to adopt good production strategies to avoid fertilizer poisoning in your palms. For starters, conduct thorough soil assessments regularly. Secondly, determine your output and growth targets. Once you determine your goals, you can then determine if there are areas in your plantation that are not meeting production targets. Fertilizers should be targeted at those locations, rather than applied at a standard level all throughout the plantation. Finally, you should monitor those targeted areas to see if the fertilizers you applied are effective in raising production levels. If your strategy is not working, then you’ll have to re-examine it to see what went wrong or how it can be improved. How does Fertilizer Toxicity Look Like? Smaller roots which will impair root functions. When roots shrink, the oil palm will have difficulty absorbing Magnesium (Mg) and K from the ground, resulting in Mg and K deficiency. Nickel toxicity produces narrow, fishnet looking pattern of chlorosis along younger leaves. 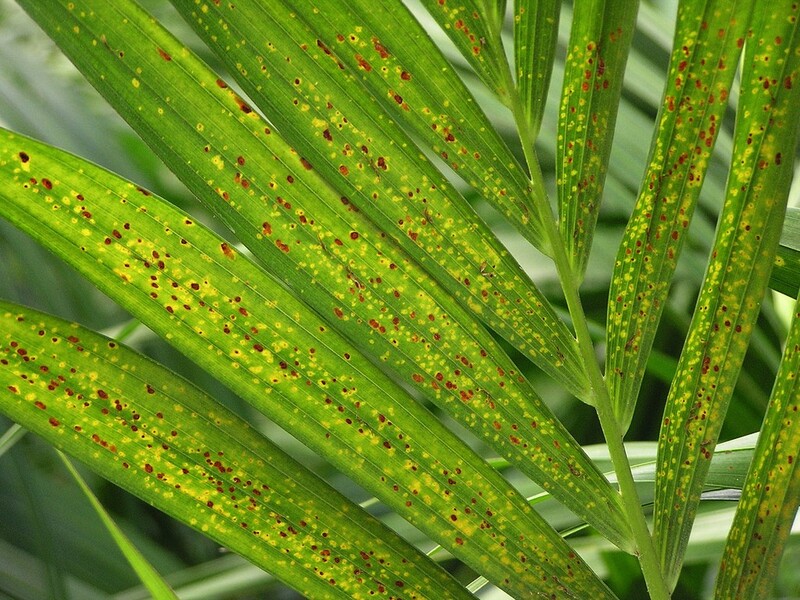 Copper toxicity can be easily seen on leaves with the presence of small, uneven brown spots. These spots have depressed areas in the middle and will fuse together to form one large spot with yellow borders. Boron toxicity can be seen at the tops of leaves, especially at the distal end and moving downwards in the form of chlorotic lines. These lines soon become necrotic and spread through the entire leaves. Fertilizer deficiency can be corrected, but if you go beyond the recommended application rate, this can cause the oil palms to experience toxicity instead. Therefore, it’s crucial not to use fertilizers in an excessive manner. 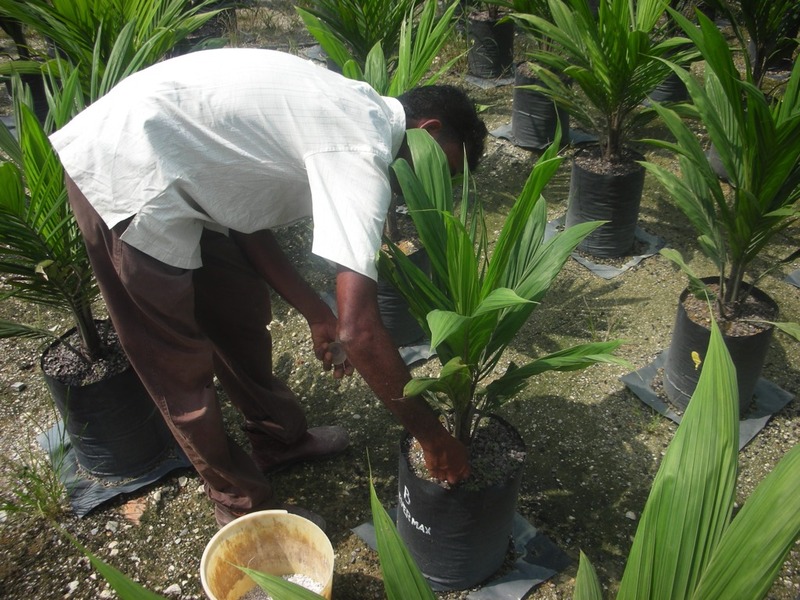 Usually, oil palm plantation owners and small holders don’t germinate their own oil palm seeds. This process of seed germination takes a very long time, up to 80 days. This tedious process is left to specialized nurseries that focus on germinating and growing seeds. Planters will buy seedlings when they are about 3-6 months old and in polybags. 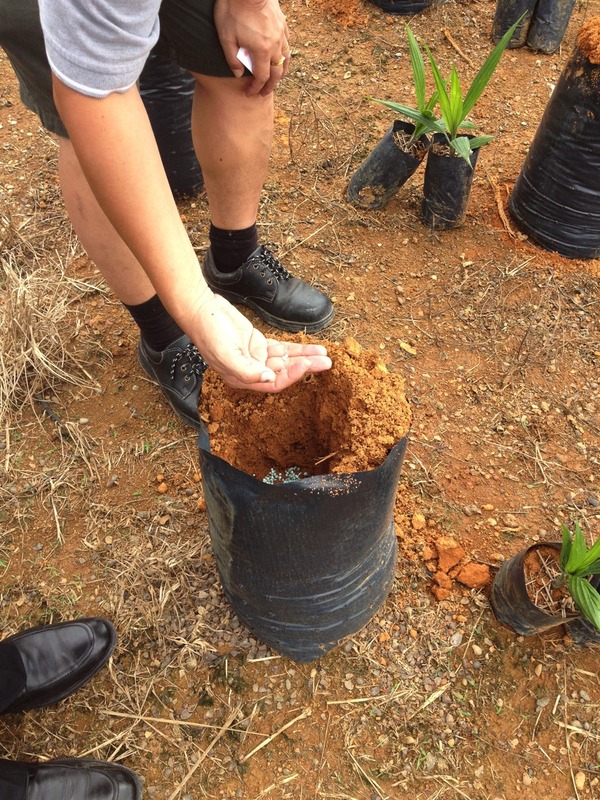 Seedlings, unlike fully grown oil palms, have to be watered every day. This includes weekends and holidays too. Since it would be near impossible to water all the seedlings manually by hand every single day, a sprinkler system is the best. If possible, this sprinkler system should be automated to water the plants at least twice a day. 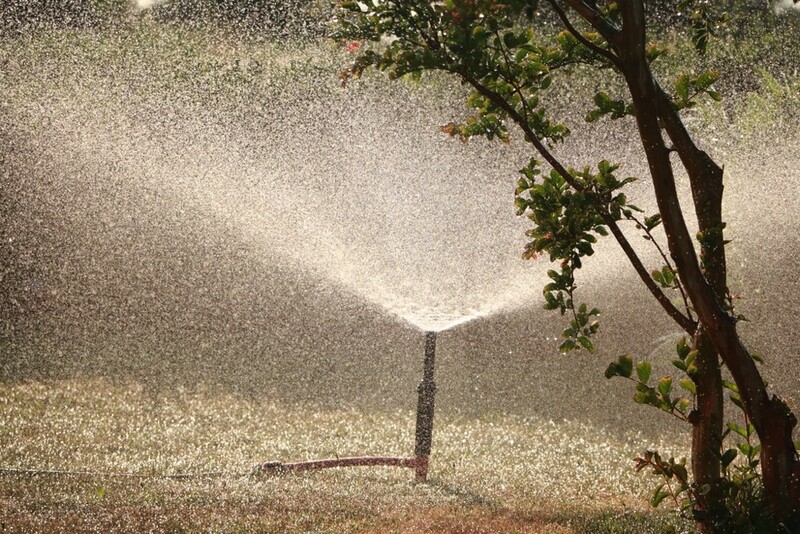 Each watering session should last about 45 minutes each time. Whatever sprinkler system you use, make sure you provide at least 9 mm of water a day for seedlings aged 0-4 months and at least 16 mm if your palms are 4-8 months old. This daily watering should continue until the palms are at least 9 months old to a year. To ensure that you don’t over-water your seedlings, especially during the rainy season, a rain gauge should be used to ascertain the real amount of water your palms are getting. Before transplanting the seedlings, you have to ensure that the land has been cleared of all types of wild undergrowth and weeds. The roots of any previous oil palms or trees have to be removed completely. This is important to prevent the spread of White Rot fungus which usually thrives on rotting wood. 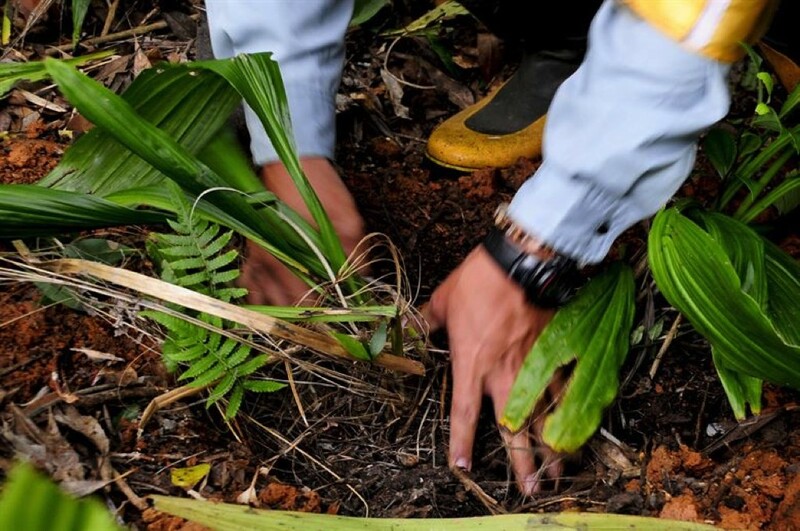 Through weeding has to be carried out as well, so that weeds don’t take the nutrients from the soil away from the young oil palms. 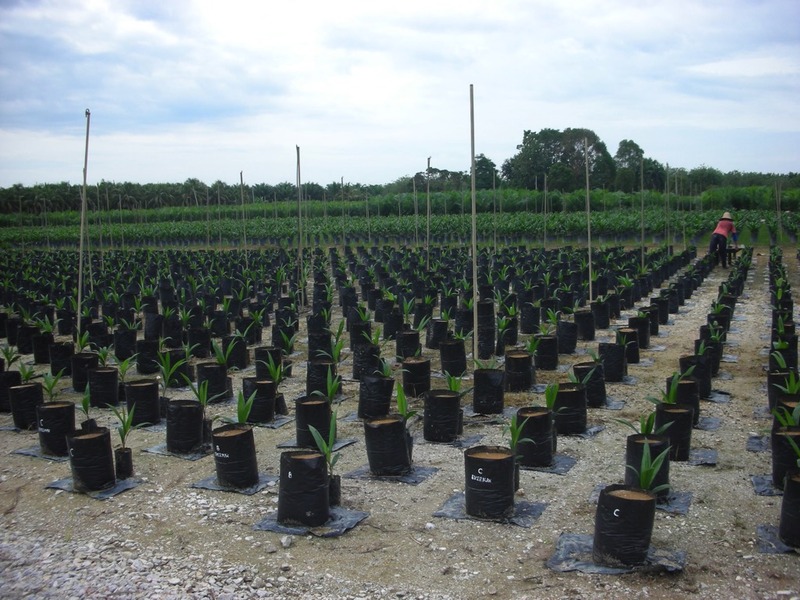 There are two patterns in which oil palm seedlings are planted. One is in straight lines and the other, a diagonal pattern. If you’re planting in straight lines, there should be at least a distance of 4.5 m between palms in the front and back, and 7.8m distance at the sides. 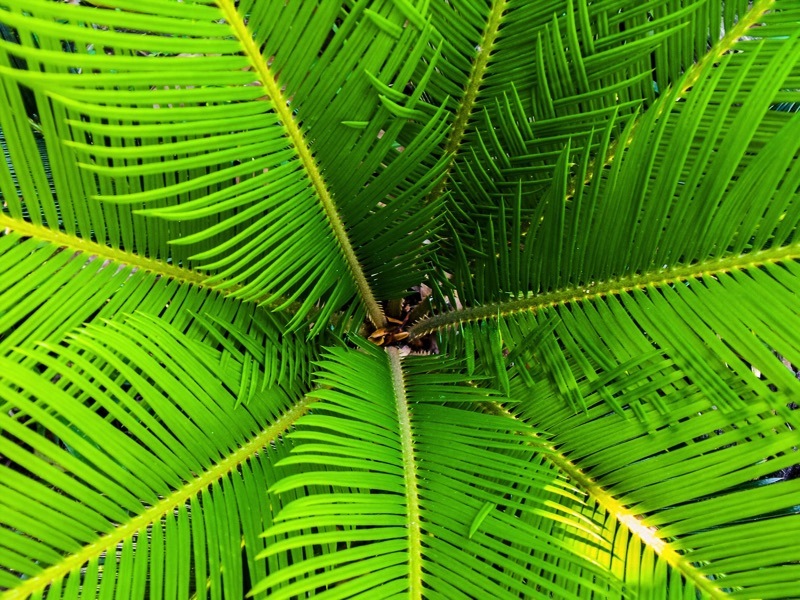 If planting diagonally, there should be at least 9 m distance between palms in all directions. Mark each planting site with a peg. One month before transplanting, dig holes that are 60cm wide and 80 cm deep. 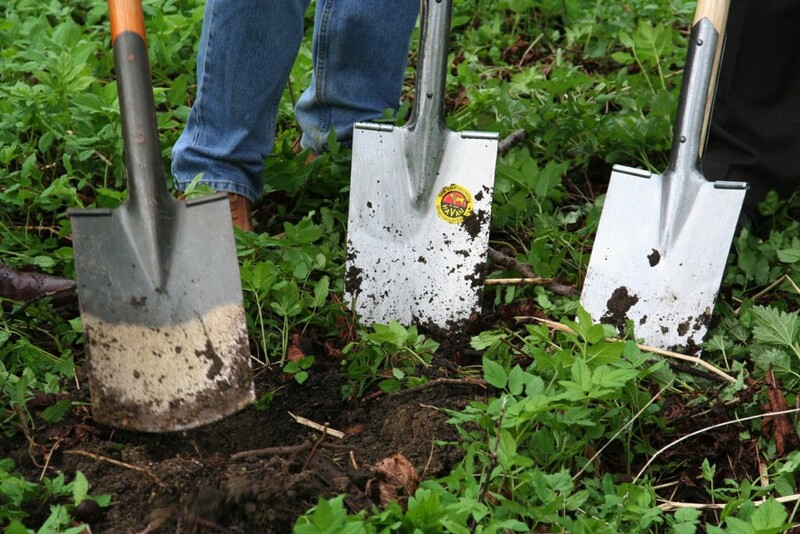 The best time for transplanting is at the beginning of the rainy season which happens around October to November each year. Fertilizers should be applied a few months after transplanting. 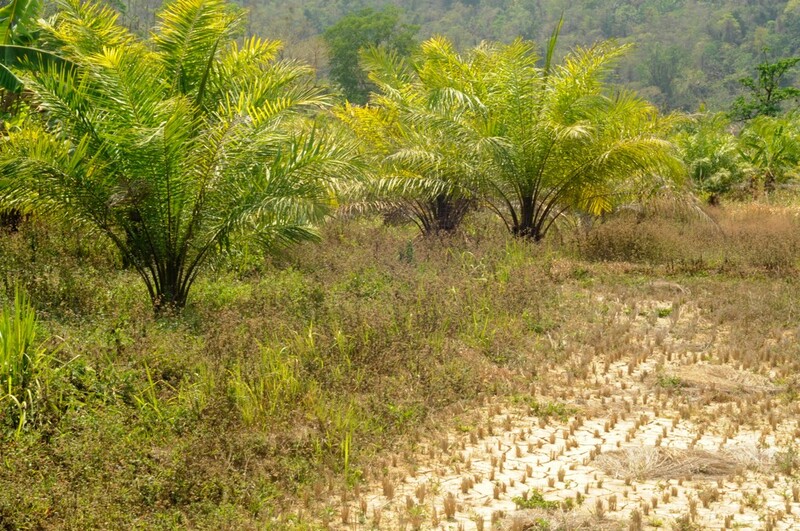 About 15-30 grams /palm/month of compound fertilizers can be applied when the oil palm has reached 7 months old. Start with a low amount for 2 months and then double it after 3 months. 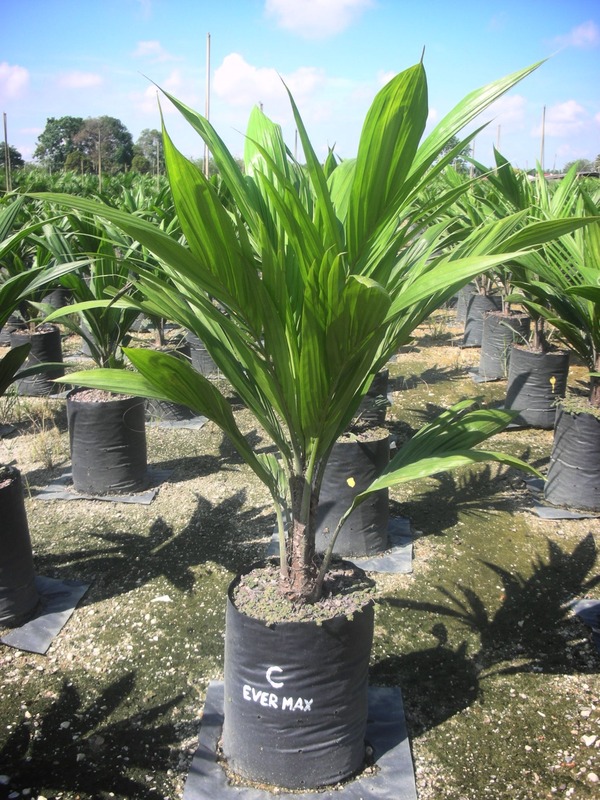 Nitrogen is the most important element for young palms as they need it to grow leaves. Make sure you provide other nutrients too, apart from just the usual NPK fertilizers. 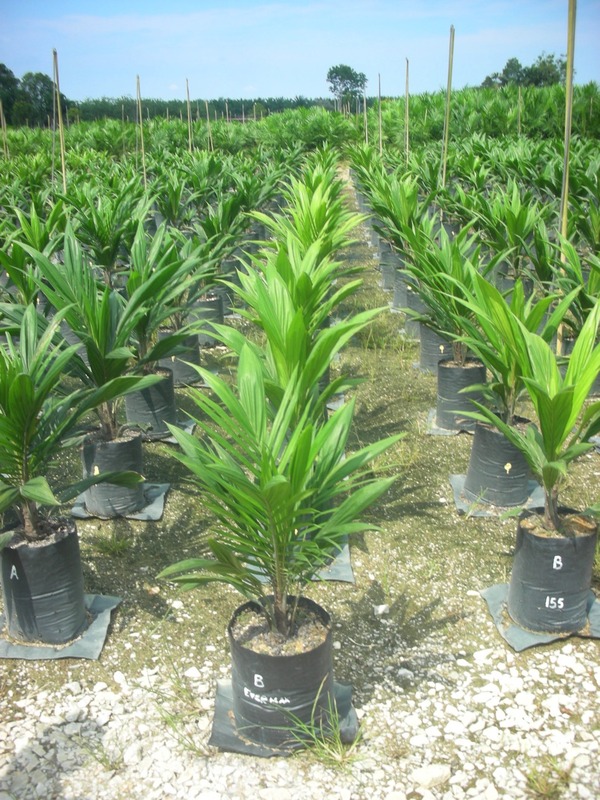 In Malaysia, Kieserite or Magnesium Sulfate is also added at a rate of 10-30 grams/palm/month for these young palms starting from 7 months old. Young seedlings that have just been transplanted are susceptible to attack from fungi, rats and insects. 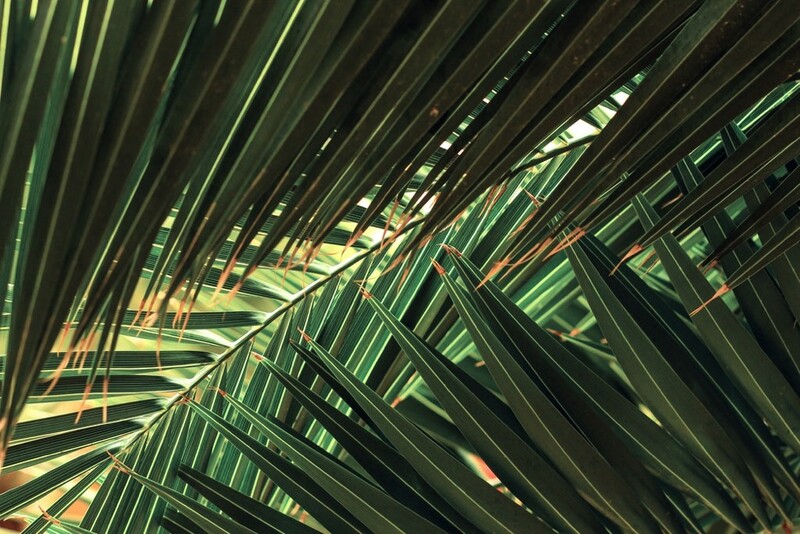 To protect the seedlings from bigger pests, you can add fencing in a 20cm radius around the palm and leave it there until the palm is 18 months old. Otherwise, constant monitoring will help you keep your oil palms safe and healthy. Oil palms are like young children. They too need extra vitamins and supplements to keep them healthy and strong. 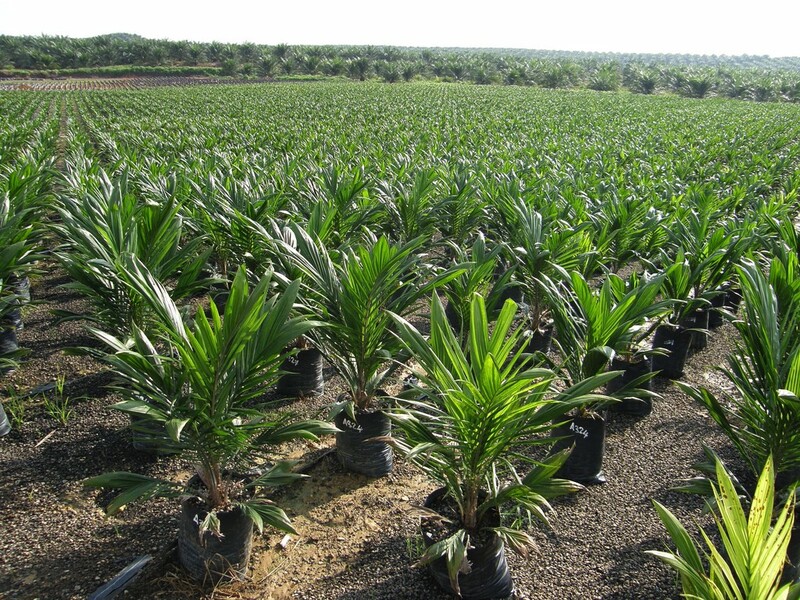 In oil palms, added nutrients are often provided in the form of fertilizers. There are many articles about how to detect whether you oil palms are lacking nutrients and this includes looking for overall or general symptoms. 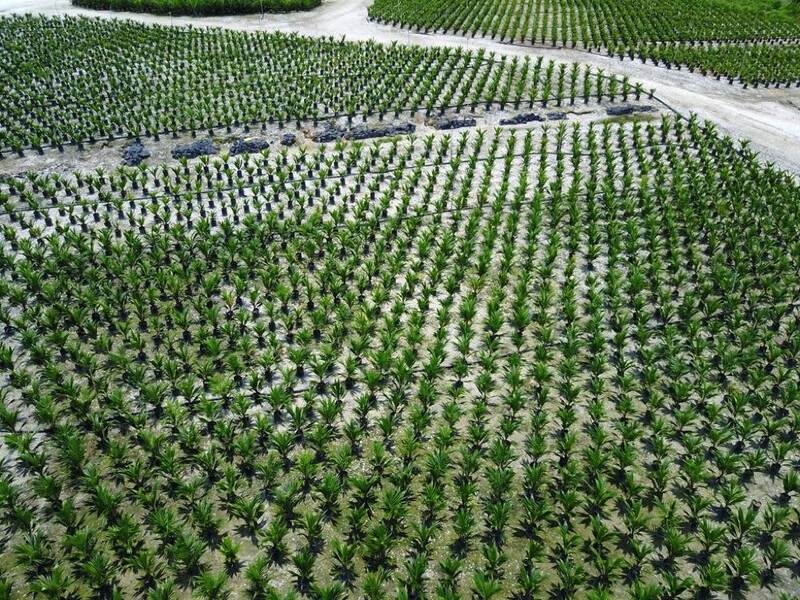 When your oil palms have Nitrogen deficiency, they will start to turn yellow or light green color. Usually this will be seen in younger palms as older adult palms rarely show signs of N deficiency. The yellowing will appear in the entire leaf and will not appear as spots or sections. In severe cases, the midrib section will also become completely yellow and the leaves will start to curl and die, starting from the tips and the sides. Even the weeds and ferns on the trunks of oil palms can show yellowing. When K deficiency happens, irregular spots which are yellow or orange in color will start appearing on the leaves. Usually these spots will appear on the older leaves first. When the spots are held up to the sun, they usually look transparent and allow light through. K deficiency can also be observed in cover plants surrounding the oil palms, whereby their leaves show necrosis (black , dying areas) at the tips and edges. K deficiency can also cause ‘white stripe’ whereby the pinnae leaves grow long and soft, with long yellow stripes running through the length of the leaves. This condition has been attributed to the lack of K, N and Boron deficiencies as well as N/K imbalance. 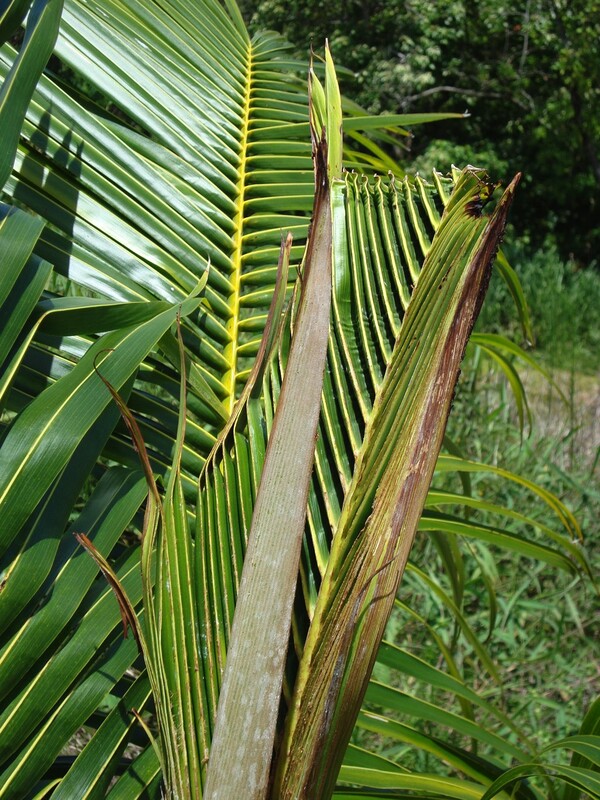 P deficiency does not show on the leaves of oil palms, only on the trunks. These types of palms will have trunks that are narrower than usual and taper off towards the top, forming a triangular outline rather than a straight and tall appearance. Mg deficiency resembles Nitrogen deficiency in that the leaves turn light green or yellow. However, in the case of Mg, only pinnae leaves exposed to the sun will turn yellow and shaded leaves will remain green. This step is essential in telling the difference. Young leaves will also typically remain green. It’s actually very easy to spot Boron deficiency in your oil palms. In almost all cases, the tip of the leaves will become hooked. This means that they will grow in the shape of a ‘Z’ with sharp angles. These leaves will also be very stiff and brittle. Both these deficiencies are pretty rare and only occur in peat soil plantations. Contrary to main element deficiencies which affect the older leaves first, this one shows itself in young leaves first. Yellowing begins at the leaf tips but the mid-rib stays green. For Cu, white streaks and mottles also appear on the leaves which later become rusty brown and necrotic. In the near future, it is predicted that with a growing population and an increased demand for biofuels, the total demands for materials cannot be fulfilled just by expanding harvested area. Therefore, in order to fulfill the demand, the production of grains has to increase by 50 percent during the coming four decades. As the demands increase, it is not possible to clear more and more land for plantation purpose. To counter this problem, it is important to utilize fertilizer up to its optimum capability. As clearing more land is not advisible, it is important that the production of materials for both food and fuels can be increased by utilizing fertilizer. One way to meet the requirements in the future is by utilizing fertilizer that helps to produce more fruits or grains, based on the type of plant. With an increased production, the supply and demand can be balanced where there is more supply to fulfill the future need for raw materials. Therefore, the fertilizer in the future should be packed with nutrients that produce more fruits, based on the type of plant. Next, in order to meet the demands, genetics advancement can be considered. Genetics advancement bring a meaning of engineering the genes of crops in order to increase production by either increasing the size of produce, or by enabling the fruiting periods to be more frequent. With this, more produce can be produced and collected. Other than that, new type of fertilizer is predicted to be manufactured in order to increase yield. It is predicted that fertilizer with capabilities to increase soil fertility will be needed. This type of fertilizer will not only assist the crops growth, but will also enhance soil fertility where the soil will be able to support healthier and fresher crops. By using this fertilizer, plantation process will be easier as the nutrients from the fertilizer will remain in the soil although different types of plants are planted. Currently, 40 to 60 percent of commercial fertilizers are used in the united States to produce food. To meet this demand, the removal of nitrogen, phosphorus and potassium from soils is expected to increase and thus there is a need for more recovery and recycling of farm and nonfarm waste in order to produce organic fertilizer that does not use nitrogen, phosphorous and potassium. The use of potassium and phosphate fertilizers is predicted to increase over the coming years. 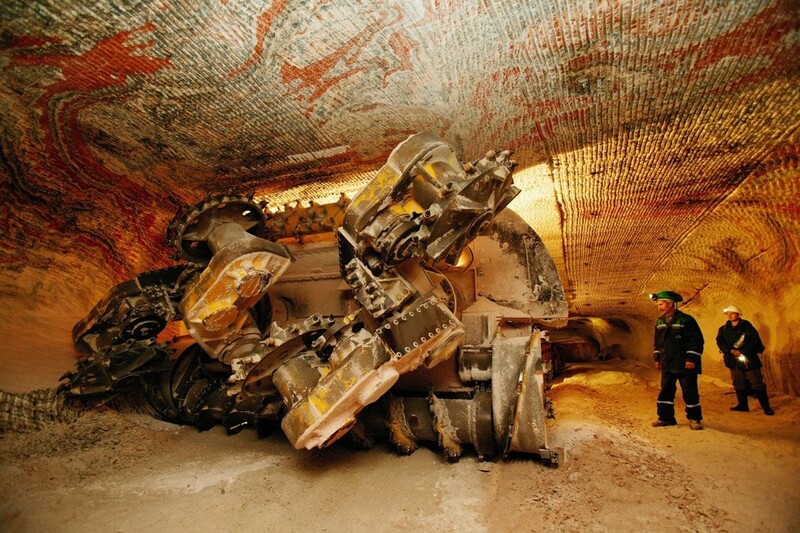 Phosphate fertilizer, obtained from mined P205 rock, might not face any problem in the United States as the U.S. is just second to China in world’s highest phosphate mining industry. Potassium will also not face difficulties as Canada is one of the major miners of potassium. There are many aspects that fertilizer promotes the growth of your plants. As we know, plants make their own food such as glucose by the process of photosynthesis. In this process, it involves the use of sunlight, carbon dioxide and water to prepare food. Hence, it is undeniable that photosynthesis covers 95% of the plant’s food requirement. In this article, 3 aspects of fertilizer are discussed to help your plants grow better. Basic nutrients or primary nutrients: Nitrogen (N), Phosphorus (P), and Potassium (K) are 3 crucial essential nutrients that are provided in soil. Supplementary nutrients: Calcium, magnesium and sulphur are also essential nutrients but they are just needed in moderate amount in soil. Micronutrients: Iron, boron, copper, zinc, molybdenum and chlorine are required mineral nutrients in very little amount in soil. They play key roles to promote the growth of plant. often depleted in New Zealand soils. The first aspect is fertilizer replaces the losing of important elements. They supply plants with the elements, which are missing or in short supply that can be used by the plants for faster growth. Most of them supply nitrogen, phosphorus and potassium. The other elements are required in much lower quantities (trace elements) and are generally available in most soils. 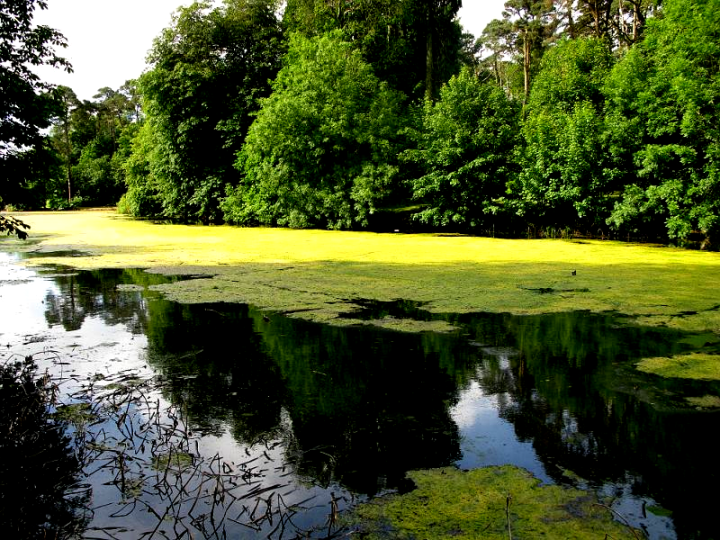 In nature, nitrogen, phosphorus and potassium often come from the decay of plants that have died. Moreover, the second aspect is it promotes the growth of clover through the nutrients in superphosphate. (It is a synthetic fertilizer and is the most important fertilizer used in New Zealand.) Then, the clover converts nitrogen gas in the atmosphere to the essential plant to become available nitrogen through the combination of potash to provide potassium. The second level of analysis is superphosphate was developed before to cope the shortage of phosphorus in soil. It is formed by finely ground phosphate rock with sulphuric acid. 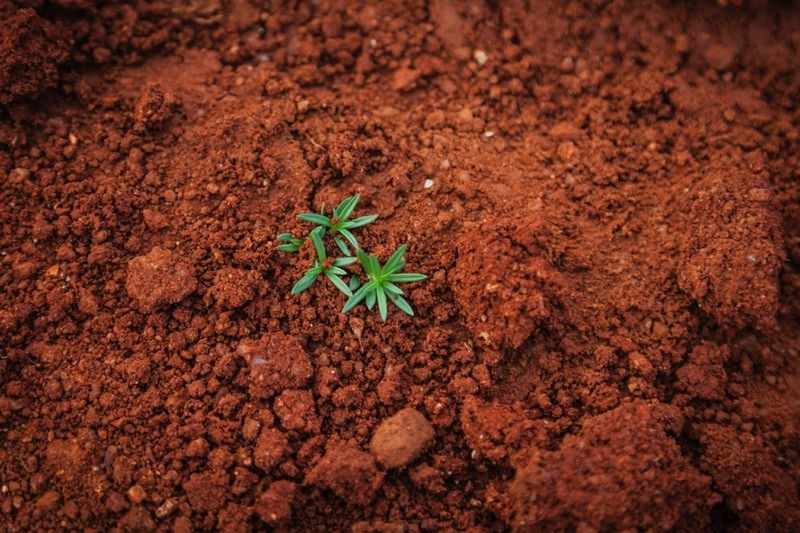 Phosphate is rapidly released into the soil, where plants can absorb it. The main nutrients in superphosphate fertilizer are calcium, sulfur and phosphorus. Thirdly, it is found out that fertilizer especially manufactured nitrogen fertilizer is found to be more productive as it is applied at just the right time to increase production. For instance, urea (CO NH22) is the main nitrogen fertilizer, particularly on dairy farms. Diammonium phosphate (N4H2HPO4, more commonly known as DAP), contains both nitrogen and phosphorus and is commonly used in this contemporary of era. Thus, farming has become more intensive with fertilizer when more are produced from the same land due to the cost and availability of land and its demand. In short, here are the 3 aspects that fertilizer help your plants grow better. Different nutrient combinations are produced to fulfill the needs of the soil and plants to promote the growth of your plants. Organic and inorganic fertilizer – raw materials, production, pros and cons. The raw materials for organic fertilizer mostly come from waste materials. Using organic fertilizer is basically recycling waste into useful fertilizer for plants. 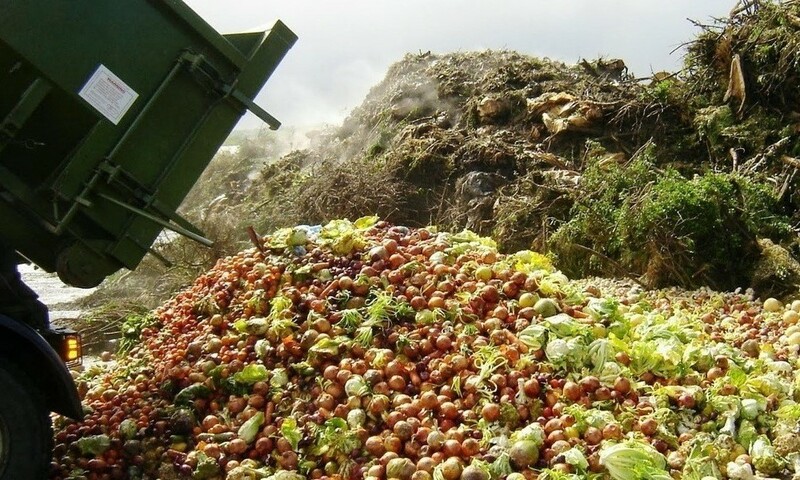 Some of the main sources of raw material for organic fertilizer comes from food waste, manure or animal dung, and palm oil waste such as palm oil husks. The raw materials are selected and dried to remove moisture and make processing easier. The particle size is reduced using appropriate equipment to shorten composting time. Commonly, compost processing is done using the withdrow composting method. The compost is dumped onto the ground with 1.5 to 2.5 meters height. It is mixed from time to time to ensure that oxygen reaches the bacteria needed for composting. The temperature when composting can reach up to 50 degree celcius due to bacterial activities. 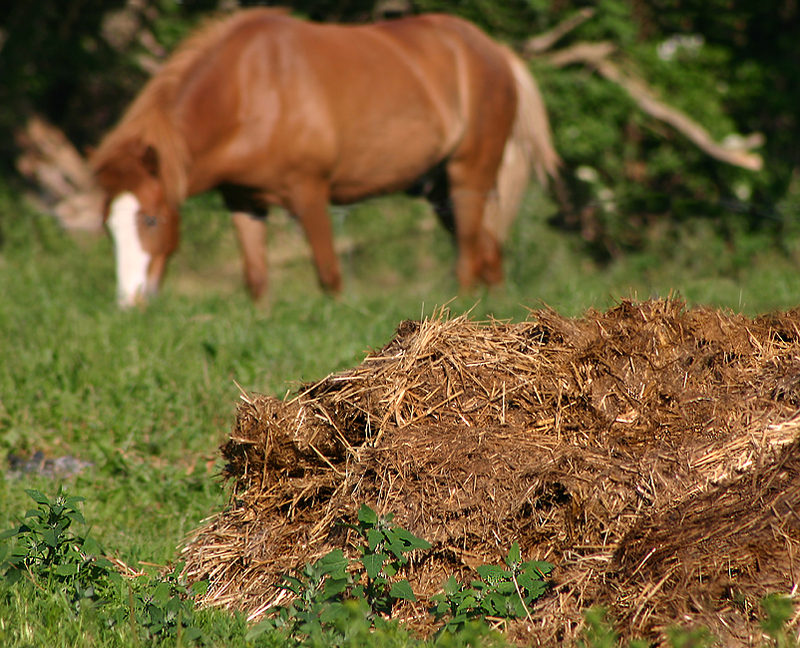 Once compost is fully dried, it is sent for granulation to make fine material. Screening is done to remove particles that are too big or too small and to remove unwanted particle like stone. Once done screening, the fertilizer is mixed with nutrients and dried before being packed into bags for customer pick up and delivery. Little to no risk of toxic build up. Inorganic fertilizer is usually made from fossil fuels. Nitrogen is used in the production of various nitrogen based fertilizer such as ammonium nitrate, calcium nitrate, potassium nitrate, calcium nitrate and urea. Potassium is used in producing potassium sulfate and potassium nitrate fertilizer while phosphorous is used to produce phosphorus fertilizer. 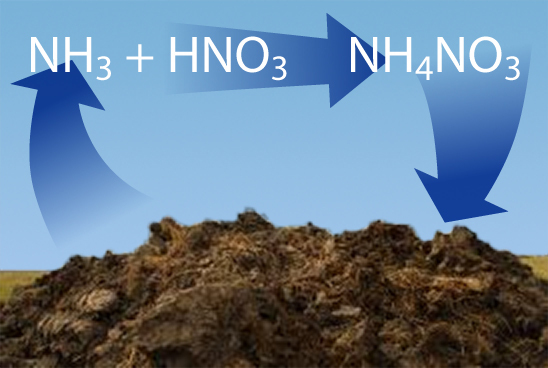 In producing inorganic nitrogen fertilizer, the most common process often applied is Haber process. In this process, CH4 or natural gas, supplies hydrogen and nitrogen is obtained from the air. The reaction between these two gasses produces NH3 which serves as feedstock for nitrogen fertilizer. Phosphate fertilizer is produced by extracting phosphate from minerals and converting into water soluble phosphate by reaction with sulfuric acid. Lastly, potassium fertilizer is made by potassium that is extracted from potash and purified to remove sodium chloride. 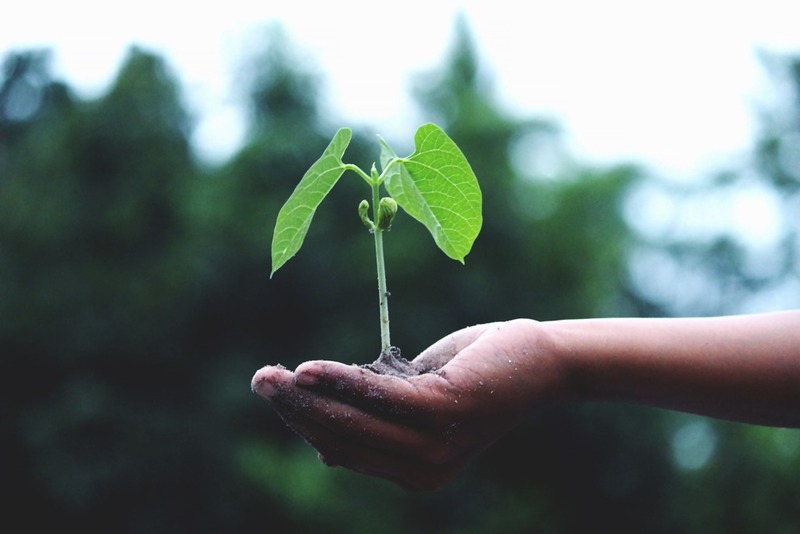 Fertilizer is proven to provide nutrient, growth and strength to plants and crops by feeding the plants with nitrogen, phosphorous and potassium. Looking into the past, the usage of fertilizer in plantation industry dates back to over 8000 years ago. Through a research performed, it is found that the first farmers in Europe introduced a revolutionary way of encouraging plantation growth and quality. 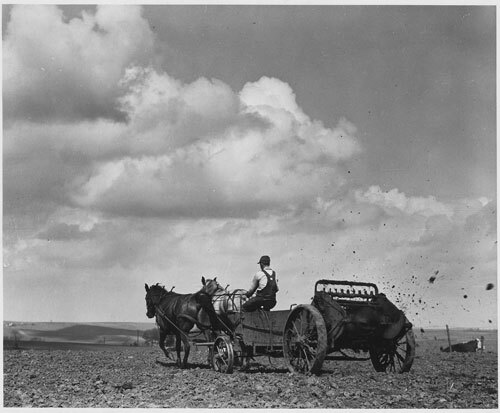 These farmers were used to fertilizing their plants with animal manure. Manure was used directly as it was without adding in any chemicals and this was therefore known as organic fertilizer. Currently, most farmers around the world, rich or poor, small farmers or international business farmers, are feeding their crops with animal manure in order to provide sufficient nutrients. The idea of using manure as fertilizer origins from farmers who also had herds of cattle alongside plantations. These farmers noticed that the areas where dung is naturally accumulated, or where animals usually hung out, had patches of fertile ground where early crops colonized. These crops could be any type, be it weeds or other fruiting plants whose fruits have been consumed by the animals. It is obvious that cropping and herding are very closely related and are ‘entangled’ from the start. 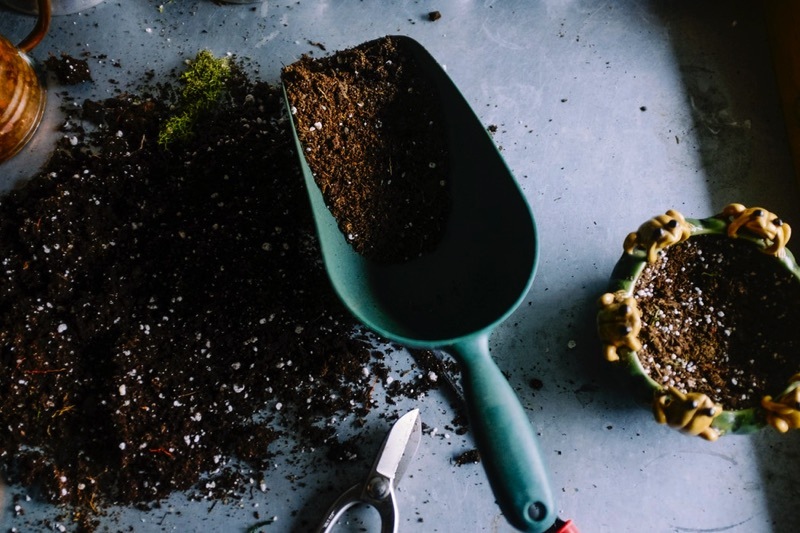 Other than organic fertilizer, inorganic fertilizer that is being used by some industries today, has been developed years ago in several different processes. Some of the most famous processes include the Haber process and the Ostwald process. In the early 20th century, Carl Bosch and Fritz Haber invented the Haber process. These chemists were presented with the Nobel prize for their valuable creation. The Haber process utilized molecular nitrogen (N2) along with methane (CH4) gas in the synthesis of ammonia (NH3). Part of the ammonia produced is used as ammonium fertilizer while a part of it is further used as the raw material for the Ostwald process. The Ostwald process was developed by Wilhelm Ostwald and was patented in 1902. The process uses up the NH3, mainly from Haber process, and in return produces nitric acid (HNO3) which is the raw material for one of the most commonly used type of fertilizer globally. The Ostwald process is known as the mainstay of the modern chemical industry as it produces fertilizer with one of the highest usage around the world. How Much Do You Know about Fertilizer? How much do you know about fertilizer? Fertilizer is a substance or compound that is added to soil to improve growth and yield of plants. They can be organic and inorganic. At first, they are used by ancient farmers. Its technology is developed rapidly since the chemical needs of growing plants have been discovered. Modern synthetic fertilizers or chemical fertilizers are composed mainly ofnitrogen, phosphorous, and potassium compounds with secondary nutrients. The use of chemical fertilizers has significantly improved the quality and quantity of the food available in this contemporary of era, even though their use for long-term is debated heatedly by environmentalists. Carbon, hydrogen and oxygen – They are available from air and water in plentiful supply. Nitrogen, phosphorus, potassium (a.k.a. potash) – These are the three macronutrients or elements that you find in most packaged fertilizers. Sulphur, calcium, and magnesium – They are secondary nutrients. Each amino acid contains nitrogen. Each molecule makes up every cell membrane that contains phosphorous (the membrane molecules are called phospholipids), and so does every molecule of ATP (the main energy source of all cells). Potassium consists of 1 percent to 2 percent of the weight of any plant. As one of the ions in cells, it is vital to metabolism. Therefore, without nitrogen, phosphorus and potassium, the growth of plant is simply stagnant because it fails to make the pieces that it needs. If any mentioned macronutrients are missing or difficult to obtain from the soil, growth rate for the plant will be limited. In nature, the nitrogen, phosphorous and potassium are often found from the decayed plants that are died. For nitrogen, the nitrogen cycle from dead to living plants is often the only source of nitrogen in the soil. To make plants grow faster, what you need to do is to supply the elements that the plants need in readily available forms. How much do you know about fertilizer? The numbers on a bag of chemical fertilizer will tell you about the percentages of available nitrogen, phosphorus and potassium that are found in the bag. Hence, it is suggested that 12-8-10 fertilizer has 12-percent nitrogen, 8-percent phosphorous and 10-percent potassium. In short, as living organisms, plants are made up of cells. Within these cells, numerous metabolic chemical reactions are occurred that have the responsibility for growth and reproduction. 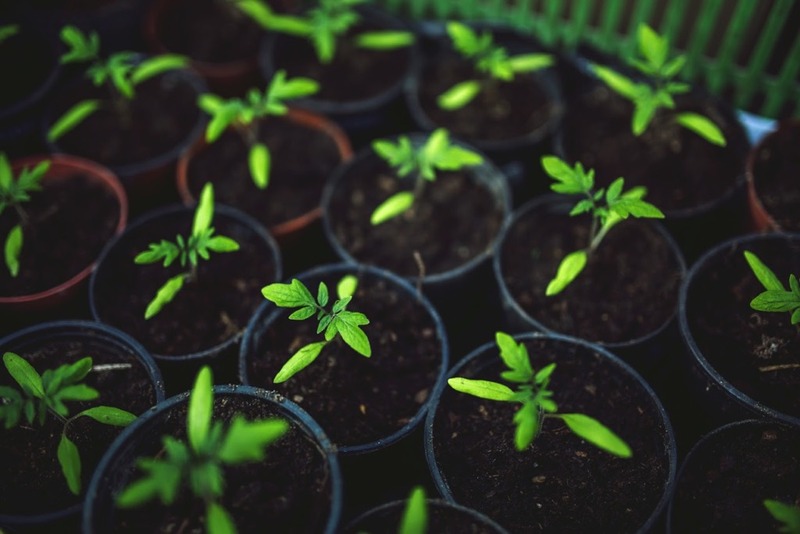 Since plants do not consume food like animals, they rely heavily on nutrients in the soil with the basic chemicals for these metabolic reactions. 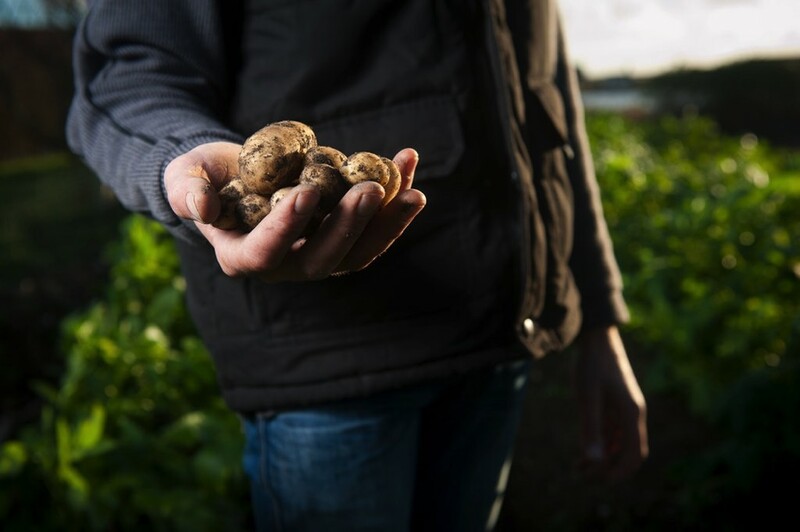 Their supply in soil is limited, however, when plants are harvested, they will dwindle, causing a reduction in the quality and yield of plants. We all know that fertilizers are good for oil palms. However, fertilizers need to be applied correctly and at the proper times. Otherwise, you risk over-fertilizing or under-fertilizing your oil palms. Both scenarios are bad for the oil palms as they may lead to diseases and even death. 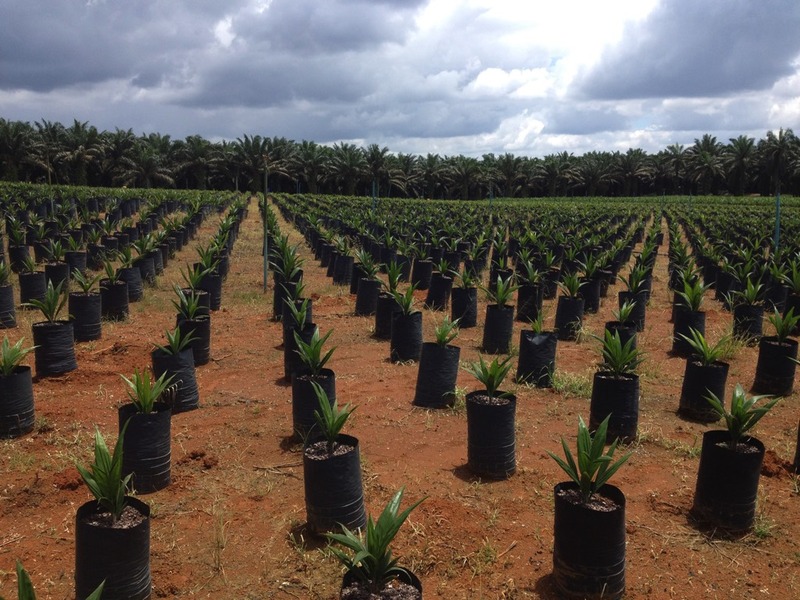 A 2011 study published by MPOB found that the simple method of sprinkling granules of fertilizers in a weeded area around the oil palm tree is the most effective application method. The other method, whereby fertilizers were buried under the topsoil in several pockets surrounding the tree was not actually as effective. In fact, burying the fertilizer under the soil resulted in 13% less fresh fruit bunches compared to the broadcast method. So, if you’re burying your fertilizer, it’s time to make a switch to simple sprinkling on the topsoil. In order to reduce the leaching of fertilizers from the topsoil due to rain, it’s advisable not to apply fertilizers during the rainy seasons in Malaysia. This rainy season occurs towards the end of the year, usually starting in November to December each year. Therefore, you should avoid placing down fertilizers during this period. The losses of nutrients due to heavy rainfall can reach up to 45% in certain cases, which constitutes a serious loss of fertilizers which can otherwise be used by the oil palm. Experts advice that fertilizers be applied about three times a year.The best time to apply fertilizers is during three seasons, namely February to March, May to June and September to October. Fertilizers should be applied after some light rain so that the soil would be moist enough to dissolve nutrients, but not enough to wash it away. Always scatter the fertilizers in a 2 meter weeded circular area around the base of the palm. The reason why you should try to weed the ground as much as possible is so that the weeds don’t prevent the oil palm from receiving its nutrients. Several strategies can be employed to minimize soil run off. 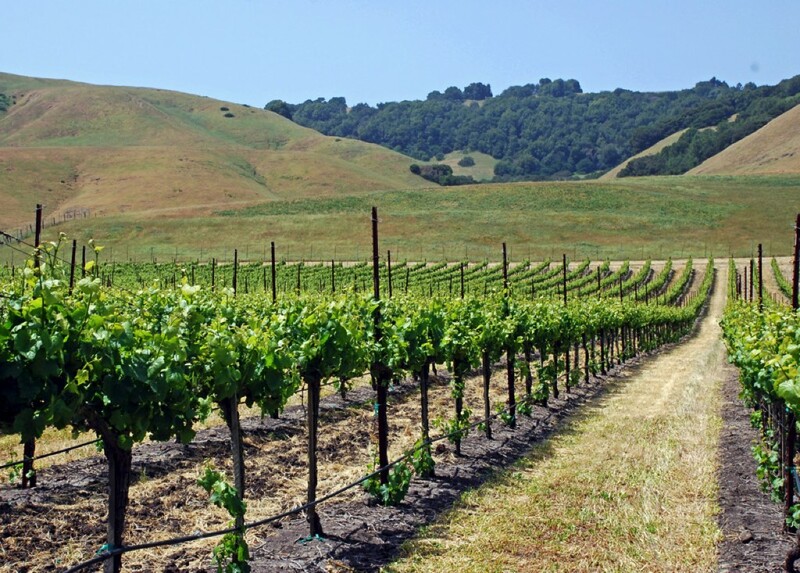 These include planting cover crops and platform cutting on sloping terrain. This minimizes the loss of fertilizers due to rain water causing the topsoil to be carried away. With regards to the main NPK fertilizers, these ratios are those commonly recommended in the first few years. After the third year of planting, the amount of NPK fertilizers can be maintained. However, there will have to be adjustments made based on annual or bi-annual soil tests to diagnose the nutrient condition of the soil. Additionally, other elements like Boron and Magnesium will have to be reconstituted based on soil chemical analysis.